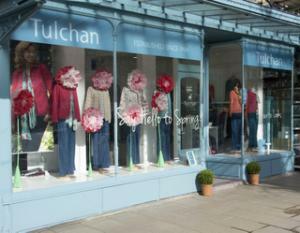 This year Tulchan celebrates its 30th birthday. Our ethos remains the same today as it did in 1984 – to produce comfortable clothes that naturally fit your body shape, offer a commitment to quality, and create stylish looks that won’t break the bank. We are really proud of the fact that we use natural fibres in our garments where possible, pure cotton styles for summer and colourful wool pieces for the colder months.